With revenues of about $17.8 billion and about 46,500 employees worldwide in 2016, family-owned, German drug manufacturer Boehringer Ingelheim started its trajectory toward becoming a global pharmaceutical company by making a product that benefitted from the late-19th Century popularity of fizzy lemonade and baking powder. Now known for top-selling prescription drugs, including Spiriva and Pradaxa, Boehringer Ingelheim was founded in 1885 by Albert Boehringer, who was just 24 years old when he hired 28 people to make tartaric acid salts for pharmacies and dyeing works. Demand for the plant acids exploded with their use in the bubbly lemon soft drink and baking powder. In 1893, Albert Boehringer discovered that bacteria could be harnessed to mass produce lactic acid, which was widely used in the dyeing, food and leather industries. The discovery was considered a major innovation in the new arena of “biotech” manufacturing and transformed the company into a leading maker of lactic acid. The company made its first pharmaceutical, the analgesic drug Laudanon, in 1912. Intended to replace opium, Laudanon, was launched for widespread marketing in 1915. Led by Albert’s cousin, research chemist Heinrich Wieland, Boehringer established its research department in 1917. Wieland would go on to win a Nobel Prize in chemistry in 1927. Boehringer now awards an annual prize in his name honoring distinguished scientists in chemistry, biochemistry and physiology. When Albert Boehringer died in 1939, his namesake company had 1,500 employees. His sons, Albert Jr. and Ernst, and his son-in-law, Julius Liebrecht, took the helm of the company to lead it forward. Still family-owned, Boehringer Ingelheim now bills itself as one of the top 20 pharmaceutical companies in the world. Company spokeswoman Heidrun Thoma told DrugWatch Boehringer uses multiple sources, including EvaluatePharma, to support its claim to be a top company. According to Evaluate Pharma’s Report, “World Preview 2019, Outlook to 2022,” Boehringer’s ranks 20th for prescription drug sales in the U.S., 15th for drug sales in Europe and 17th in Japan. It is projected to be 19th worldwide in 2022. Boehringer focuses on innovation and partnerships with other pharmaceutical companies and academic researchers to find ways to treat diseases with high unmet medical need. The company was also ranked 15th in the top 20 pharma companies based on research and development investment by a blog called IgeaHub. Another website, Scrip 100, rated Boehringer 19th in drug sales worldwide in 2014 and 2015. Boehringer was named one of the world’s 100 most innovative companies by Thomson Reuters in 2015. But the company is not on the Forbes 2000 of the largest corporations in the world or on Forbes list of the top 25 pharmaceutical and biotech companies. The publication did rank Boehringer number 469 of best employers in the United States. Headquartered in Ingelheim, Germany, Boehringer did 41 percent of its sales in the Americas in 2016, the largest geographical sector for the company. Another 32 percent of sales were in Europe, with the rest being in Asia, Australia and Africa. Boehringer says it employed an average of 11,469 people in the Americas in 2016, down from 13,623 the year before. Affiliates in the United States include Boehringer Ingelheim Corp., Ridgefield, Connecticut; Boehringer Ingelheim Vetmedica, Inc., St. Joseph, Missouri; and Boehringer Ingelheim Fremont, Inc., Fremont, California. According to Boehringer’s annual report, research and development expenditures of about $3.5 billion amounted to almost 20 percent of sales revenue for the company. In prescription drugs, specifically, the company’s research and development expenditures comprised 23.8 percent of revenue in 2016. 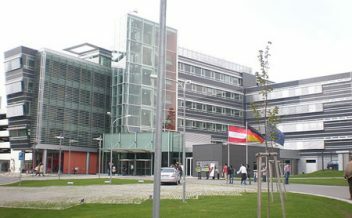 The company operates a global research network, with facilities in Biberach, Hanover and Ingelheim, Germany, as well as Ridgefield, Connecticut; St. Joseph, Missouri; and Vienna, Austria. There are two small research facilities in Kobe, Japan, and Milan, Italy. The research focuses are in the areas of immunology and respiratory disorders, cardiometabolic diseases, oncology and immuno-oncology, and central nervous system diseases. Boehringer does 76 percent of its business in prescription medicine, 10 percent on consumer health care, 9 percent on livestock and pet health and 4 percent on biopharmaceuticals. The smallest sector of business involves industrial customers. Its top-selling prescription drug was Spiriva, which is used to treat chronic obstructive pulmonary disease (COPD) and asthma. Spiriva generated about $3.8 billion in 2016, or about 21 percent of the company’s total revenue for the year. The next top drug for Boehringer was blood thinner Pradaxa, used to treat strokes in patients with atrial fibrillation, and for the prevention and treatment of thromboembolic disorders. Pradaxa brought in about $1.6 billion, or about 9 percent of total revenue. The FDA has warned that suddenly stopping Pradaxa or missing doses may increase the risk of blood clots or stroke, which can lead to permanent disability and even death. The drug is marketed as an alternative to the blood thinner warfarin because it is supposed to be easier to use and designed to have fewer side effects. It sells for about $3,000 a year, while warfarin costs about $200 a year. The New York Times reported that Pradaxa “was identified as the primary suspect in 542 patient deaths reported to the FDA in 2011, and was linked to more reports of injury or death than any of the more than 800 drugs regularly monitored by the Institute for Safe Medication Practices, a nonprofit based in Pennsylvania that monitors medicine safety.” The FDA later determined that bleeding rates linked to new use of Pradaxa didn’t appear to be higher than those associated with new use of warfarin. Still, by the end of 2012, Pradaxa was blamed in more than 500 deaths involving hemorrhaging and uncontrolled bleeding. The manufacturer settled more than 4,000 lawsuits in May 2014 for $650 million. By the end of 2012, Pradaxa was blamed in more than 500 deaths involving hemorrhaging and uncontrolled bleeding. Following on the list of Boehringer’s top-sellers were the type 2 diabetes drugs Tradjenta and Jentadueto, which brought in about $1.2 billion, and blood pressure medication Micardis, with just under $1.1 billion in revenue. Tradjenta’s potential side effects include pancreatitis and pancreatic cancer. The FDA issued a safety warning about the drug and others when researchers suggested the medications could increase the risk of precancerous cells developing in the pancreas. The FDA has also criticized the company for issues with manufacturing, including poor quality control and failed safety inspections at its production facilities. Among the allegations were that Boehringer failed in 2009 to thoroughly investigate foreign particles found in pharmaceutical ingredients. 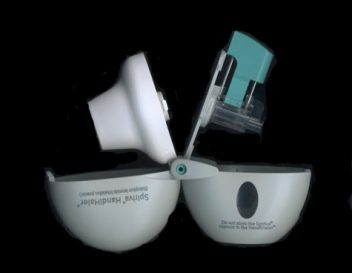 The company was accused of using contaminated batches of ingredients to make drugs in 2012 and failing to determine why some of its shipments of its Spiriva inhaler failed to pass a uniform dose delivery test. In addition, Boehringer had to pay a civil penalty of more than $64,000 to settle charges from the Environmental Protection Agency that it had improperly handled mercury waste at a Kansas veterinary vaccine facility. Boehringer’s biggest-selling consumer health care product was the stool softener Dulcolax, which had about $266 million in sales in 2016. Boehringer entered the biosimilars market, aiming to make generic and less expensive alternatives to competitors’ drugs. The company has entered the biosimilars market, aiming to make generic versions of biopharmaceuticals. As of its 2016 annual report, it was moving toward introducing a biosimilar of AbbVie’s blockbuster rheumatoid arthritis drug, Humira, which generated $16 billion in sales for that company in 2016, equal to almost 90 percent of Boehringer’s total revenue worldwide for the year. Boehringer’s candidate, called BI 695501, passed its third phase of study and had been submitted for review to the U.S. Food and Drug Administration and its counterpart in Europe. In 2016, another Boehringer biosimilar candidate passed its phase I study. That drug, BI 695502, is intended to be an alternative to the lung cancer drug Avastin, which was Roche’s second-biggest revenue generator, bringing in $7 billion worldwide in 2016, despite losing ground to other treatment options. But while Boehringer is positioning itself to offer less expensive alternatives to competitors’ drugs, it has taken criticism for the costs of its own drugs. In particular, Spiriva was ranked as one of the most expensive drugs by the Centers for Medicare and Medicaid Services in 2015. The program spent about $2 billion on the drug that year. In 1991, Boehringer changed the organization and structure of the company, creating a board of managing directors made up of people who are not members of the Boehringer family. It also refocused on research and innovation. This helped Boehringer Ingelheim become one of the most successful foreign companies in the U.S. and Japan. Boehringer created new companies, formed marketing alliances with other drug makers and expanded its human and animal health divisions. The alliances, or partnerships, are a priority for Boehringer going forward. So for instance, while it is maneuvering to challenge AbbVie’s Humira with its own version of that top-selling arthritis drug, Boehringer is partnering with AbbVie to develop immunology compounds for treatment of psoriasis, Crohn’s disease, psoriatic arthritis and asthma. It has also formed collaborations with Arena Pharmaceuticals, Circuit Therapeutics, Inventiva, Eli Lilly, and others. After receiving a warning letter from the FDA over quality control issues, Boehringer overhauled its management team in May 2013. In the long term, it hopes to make strides in the prevention and treatment of strokes, Parkinson’s disease, diabetes, lung cancer, and other severe pulmonary diseases. It also has a drug in trials that could treat malignant pleural mesothelioma.